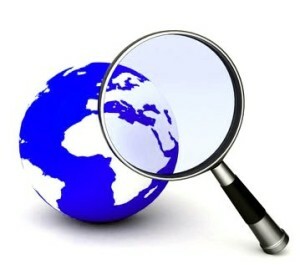 what's best for a web search - John the Technician. To search: Bing or Google? For performing a web search Google has become the dominant engine for much of the world, many now use the term as a verb (which gives the grammar police much to argue about; as a proper noun it is Google, but when used as a verb should it be “to Google” or “to google”). For searching (or for web browsing for that matter) I have no loyalty to any one product over another. They are all there to do a job. I just want to use the best one that suits my situation at that time. So I have used both Google and Bing fairly extensively, and know which I prefer. I have the simple routine of using one. If browsing with Chrome, then searching using Google, if with IE / Edge, then Bing. I’ll then work through the search results. ~What if I end up on the fourth or fifth page but not found what I was looking for? Then I’ll copy and paste my query into the other search engine and start again. The number of times I’ve started with Google, failed, then switched to Bing – a few. The number of times I’ve started with Bing, failed, then switched to Google – frequently. So for me searching using Google has vastly outperformed searching using Bing. I can’t say I’ve noticed any particular pattern across search areas or specific subjects. It’s just that I switch from Google to Bing far fewer times than from Bing to Google. I’m quite happy to continue on with my routine for the foreseeable future. However should Bing improve in its results quality then I will happily switch to it as my first choice. At the moment, Google rules. Previous PostWhat do I want for a 4G phone.